DIANNE’S TOP WRITING TIP: Wait before sending a manuscript. Publishers are busy; you may have only one shot at their attention. Rewrite, edit and rewrite until you are so sick of the manuscript that you want to scream. By then it might be getting close. 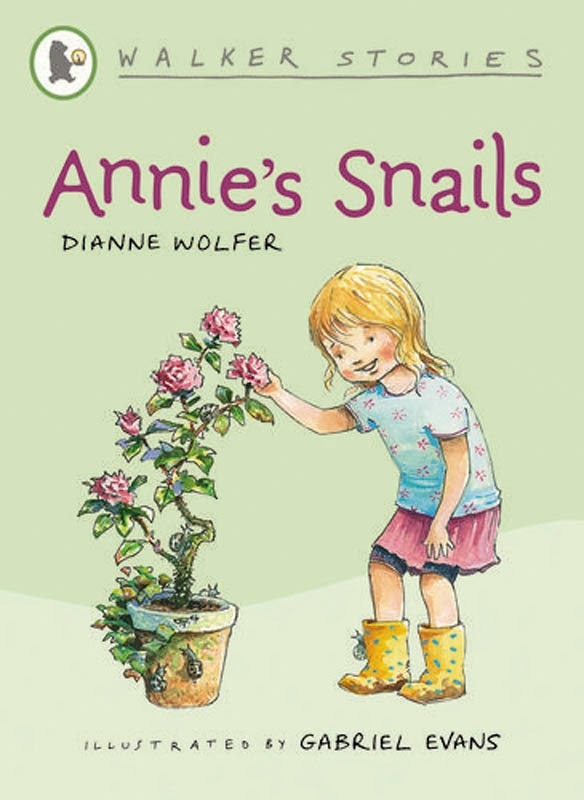 Dianne Wolfer is the author of 14 books for teenagers and younger readers. 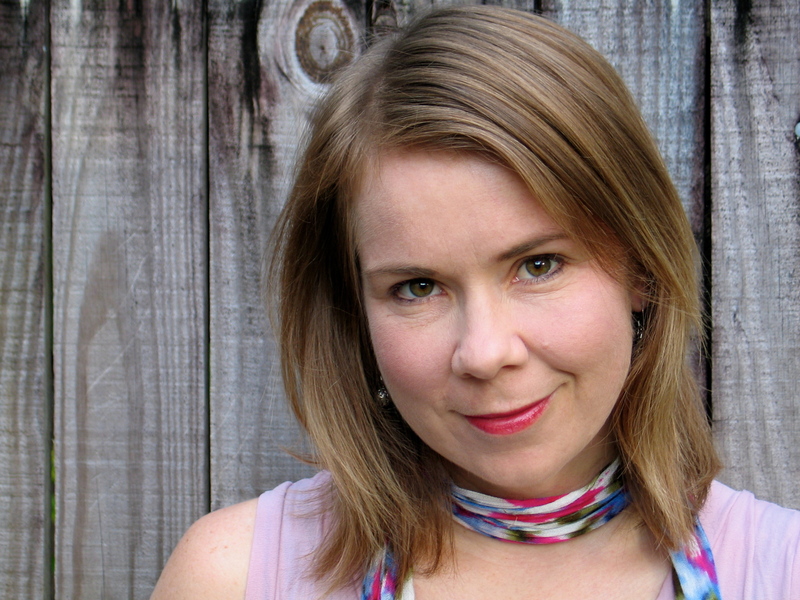 Her books have been short-listed for various awards and are read in schools across Australia and overseas. She enjoys combining her love of history with writing fiction. Her picture book, Photographs in the Mud (a recommended History Curriculum text) was inspired by a research trip along the Kokoda Trail. It has been published in Japanese and is used as a reference for international workshops promoting peaceful ‘discourse analysis’. Dianne loves travelling and has spent much of her life overseas. She lives on the south coast of WA. Why do you write? It’s something I can’t not do. I keep getting ideas and thinking about how I could explore certain issues via various characters. I have notes all around the place. Each book takes years and so I only write a fraction of what is going on in my head. What would you be doing if you weren’t a writer? I loved working part-time in a bookshop, until it closed, but I also have a teaching background. At the moment I’m doing full-time study; I’m fortunate to have a scholarship from UWA, so between that, school visits and other writing, there’s no time for anything else. What was your toughest obstacle to becoming published? Exactly that, getting published! There are so many talented writers not yet published. Perseverance is very important, editing and editing (even though it’s so hard sometimes) and just continuing to sit for hours writing and editing even when you don’t know where something is going. I write dreadful early drafts but refine them again and again, dozens (if not hundreds) of times, even for a 350-word picture book, until what I am trying to say begins to emerge. I wish it didn’t take so long, but for me, it does. What’s the best aspect of your writing life? Working at all hours of the day/night in daggy clothes, and taking the dog to the beach when others have to be in an office. I also enjoy travelling and going into new communities as part of my schools work. What would you do differently if you were starting out now as a writer? I started before the Internet and used to have to go to a library to research, so things have changed. I love being in the country and accessing information around the world. I think if I was starting I’d do what I did; join a writers group, work at manuscripts as best I can and then send off the darlings. What’s the best advice you were ever given? Believe in your work. Only you can write your story. ELAINE’S TOP WRITING TIP: Read, read, read. And write, write, write. Nothing is wasted. Elaine Forrestal is a lyrical writer with a strong appreciation of nature, music, history a nd the sea. 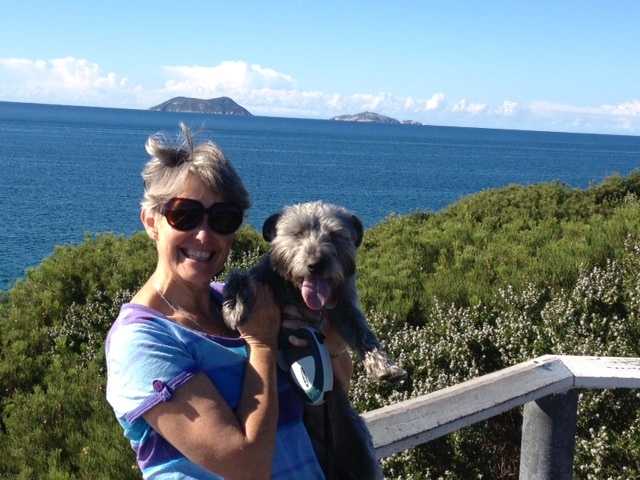 She lives in Perth with her husband, Peter, and their dog, Fling, just a few paces from the untamed beauty of Scarborough Beach. Elaine is the author of many highly acclaimed and popular novels for children, and has also written for television. 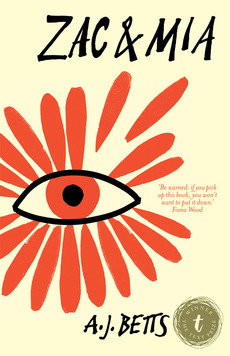 Her novel Someone Like Me was commended in the NASEN Children’s Book Awards in the UK and won the WAYRBA Hoffman Award. It also won the Children’s Book Council of Australia Book of the Year Award for Younger Readers. With the publication in 2008 of her first picture book, Miss Llewellyn-Jones, and her first novel for older readers, Black Jack Anderson, she widened her horizons and entered a new phase of her writing career. 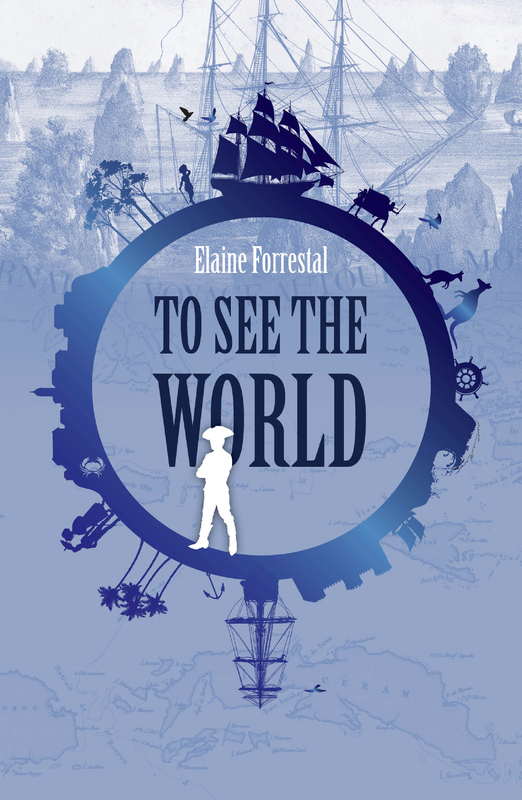 To See the World: a voyage of discovery aboard the sailing ship Uranie is her latest book, due for release on April 1st 2014. What would you be doing if you weren’t a writer? I was a Pre Primary teacher for 23 years and loved it. If the pressure to become a full-time writer hadn’t been so great I would probably still be doing that. What was your toughest obstacle to becoming published? Becoming published was almost an accident for me. After that the toughest obstacle was making enough time to teach and write. Since I have been a full-time writer the biggest challenge has been to keep re-inventing myself as a writer. To keep my writing relevant in a changing world. What’s the best aspect of your writing life? The best aspect of my writing life is being able to work from home. —the worst? Balancing the budget on a low income. What would you do differently if you were starting out now as a writer? Maybe nothing. In spite of a changing world you still have to do the hard work, believe in yourself and keep on sending your work out to publishers. Never give up – that hasn’t changed. What do you wish you’d been told before you set out to become an author? As I’ve said, I didn’t really set out to become an author. If someone had told me, back then, that I would earn my living from writing books I would not have believed them. What’s the best advice you were ever given? Elizabeth Jolly told me never to throw anything away. She meant drafts, failed stories, ideas. And Julie Watts sent me a copy of Eleanor Nilssen’s book on how to write for children. The best advice I got from that is to take out the manuscript you are working on every day – even if you think you can only spare 10 minutes. That 10 minutes (which will often turn into a lot more) is enough to keep the story fresh in your mind. Your subconscious will keep working away at the ideas while you are doing other things, but only if you remind it to. 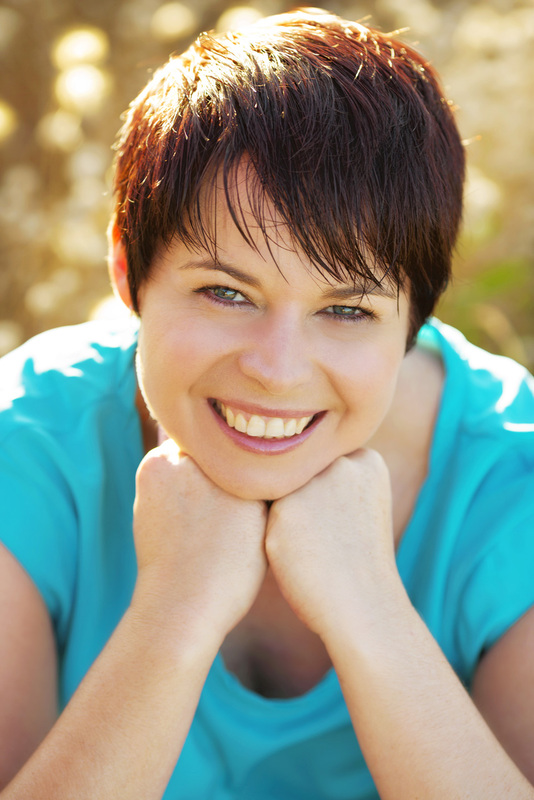 CLAIRE’S TOP WRITING TIP: Find a writers’ group and a critique group that works for you. I have learnt so much from my membership of Romance Writers of Australia – things about the industry and the craft of writing that I wouldn’t have learnt elsewhere, and I have a wonderful network of friends who encourage and support me. My critique group has helped me work out what’s not working in a manuscript and makes suggestions on ways to fix it. In the beginning I knew my manuscript wasn’t publishable but had no idea how to fix it. RWA and my critique group helped me with that. Claire Boston was a voracious reader as a child, devouring anything by Enid Blyton as well as series such as Nancy Drew, Trixie Belden, The Baby-sitters Club and Sweet Valley High. Then one school holidays when she’d run out of books to read, her mum handed her Hot Ice by Nora Roberts and she instantly fell in love with romance novels. Why do you write? I write because I have so many ideas going around in my head that I just need to get them out. I fill my days with dreams of characters in different situations and I want to tell their stories to other people. What would you be doing if you weren’t a writer? Organising things. My day job is a records administrator and librarian and so I have to classify and file information so that people can find them again. This has spilled into my writing life where I have databases for my files, my submissions and my blog posts. What was your toughest obstacle to becoming published? Getting a publisher to say yes! Seriously though, when I look at my first attempts at writing novels, they weren’t any good. I had to learn the craft of writing before I could write a book that people would want to read. There were also periods where I asked myself why I was still trying to get published and sometimes that was hard to get through. What’s the best aspect of your writing life? Getting to immerse myself in the world I have created and trying to figure what is going to happen next. —the worst? The waiting. I’m not a patient person and having to wait months to get a response from an agent or editor is frustrating. I try to forget that I’ve submitted anything and just get on with writing the next novel. What would you do differently if you were starting out now as a writer? I’d join Romance Writers of Australia sooner and I would set up a more structured writing regime. It’s only been the past couple of years where I’ve made sure I have writing time every single day. I have to get up at 5.30am to get it, but it’s been worth it. What do you wish you’d been told before you set out to become an author? It’s going to take time and you need to be in it for the long haul. I had these naive fantasies of writing my first book, sending it off and it being a big smash hit. I believe my five-year plan included earning enough that I could give up my day job to write full time. What’s the best advice you were ever given? Anna Jacobs told me time is the best editor. She said the best thing you can do is let your story sit for a year before you edit it and submit it. She was right. You need the time to give yourself the distance from your manuscript, otherwise you don’t see what really needs to be fixed. AJ’S TOP WRITING TIP: Be fearless. Read every day, write every day. Don’t fool yourself: being published will not make you happy or rich. Being published is not the goal. AJ Betts is an author, teacher, speaker and cyclist. Zac & Mia, the winner of the Text Prize for Young Adult and Children’s Writing, is her third novel for young adults. Her others are ShutterSpeed andWavelength. She lives in Perth, and writes when she’s not pedalling. Why do you write? I’ve never chosen to write – it’s something I’ve always done. I write to clarify the thoughts in my head but also to create stories that intrigue me. What motivates me to finish a book is the desire to know what happens. What would you be doing if you weren’t a writer? If I wasn’t a published author I’d still be writing for my own enjoyment: stories, poetry and articles. I’d be teaching full-time, and travelling more than I do now. What was your toughest obstacle to becoming published? Finishing the first book! I kept stopping, distracted by travel and other things. I think it was my lack of confidence holding me back. What’s the best aspect of your writing life? Currently, the are two great things: receiving wonderful feedback about my recent novel Zac and Mia, and the excitement of working on my next book. What would you do differently if you were starting out now as a writer? I’d be more involved in the writing community, such as subscribing to the writingwa emails and connecting with a workshop group. I’d also spend less time planning and more time writing. What do you wish you’d been told before you set out to become an author? You can do this.